What Shall I Wear Today? Is a continuation of work begun in 1996 with our first Topic book Signalong At the Table. 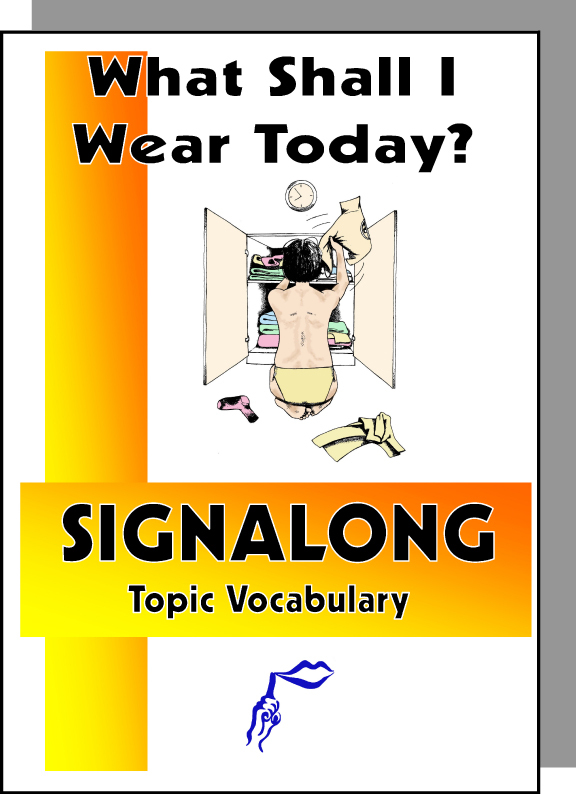 The Topic books gather vocabulary from other manuals and expand the lexicon so that the subject may be explored in greater depth. We have looked at everyday clothing and clothing designed for specific purposes such as sport or work. We have tried to be inclusive in the type of accessories and fabrics represented but no doubt there are omissions. Notify me of updates to What Shall I Wear Today?